How can technologies today help visual impaired or blind children to learn more better? Team dreamBender from Indonesia has the answer for this problem. Four students in the team has designed Sparkins which can help them to learn Perkins Brailler on multi-touch supported tablet PC. 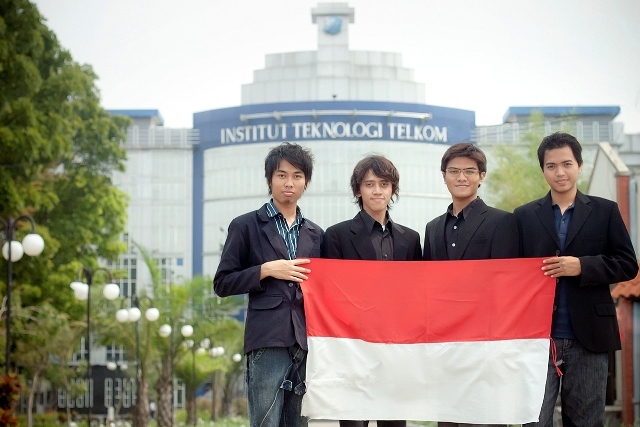 The team is consist of Rizky Ario Nugroho, M. Endri Irfanie, Arnanto Akbar and Dwi Cahyo Nugroho, all of them are from Institut Teknologi Telkom. Check out their project at Imagine Cup People Choice’s Award and support them if you like their project by casting your vote on them. Although Imagine Cup 2011 Worldwide Final in this coming 8th – 13th of July 2011 haven’t started yet, they already won themselves the First-Runner Up in Windows 7 Touch Challenge. I’m lucky enough to get contact with them and learn about their story as one of the Microsoft Student Partner (MSP) Social Media Team. Sparkins is a touch-based solution which helps visually impaired or blind children to learn the Perkins Brailler. Basically, it works exactly same as the Perkins Brailler but using a multi-touch support tablet PC which is empowered by Windows 7 Touch. Sparkins is equipped with adaptive finger position recognition to type. Users just need to register their first finger position by touching the screen with a full six fingers and then Sparkins will measure the distance from every finger to set approximation of the next input touch. According to the first finger registration, input touch position will be predicted and translated to the braille code. The typed braille will appear in the top of the screen alongside its Latin alphabet. To work as a Perkins Brailler, Sparkins fully exploits the multi-touch capabilities of Windows 7 Touch. A flick to left is used as the space key, and flicks to right is used as the backspace key. The hold gesture is used to start the text-to-speech feature which narrates the typed words which is useful for user to check the typed words. While the gesture that is commonly used as rotate functions set the volume of the speech. Another way to check the typed words is by touching the generated braille. When the braille is touched by one finger, then the sound feedback spells every letter of the braille. But when it is touched by two fingers, the sound feedback speaks per words. However, in checking the typed words and finding errors, it is difficult for visually impaired people to precisely touch the braille because the absence of guidance. Therefore, the preview mode is provided which works by put the braille in a row at the screen side from left bottom edge to left top edge, and then to right top edge and right bottom edge, and finish at left bottom edge. By preview mode, user can use the screen side as guidance in touching braille. To move to the next line and previous line of words, user can use the zoom out and zoom in gesture. The inspiration of our project comes from our concern to solve the disabilities problem using touch technology. During research, we’ve found out that just 10% of blind children are able to read braille. The braille is the learning foundation; no braille means no education for them. A Perkins Brailler acts as a pen and paper in education for the blind. It is needed in learning and producing the braille words. But, the brailler is actually heavy, noisy, difficult to be used by children, and the design is remain unchanged since it was firstly invented. 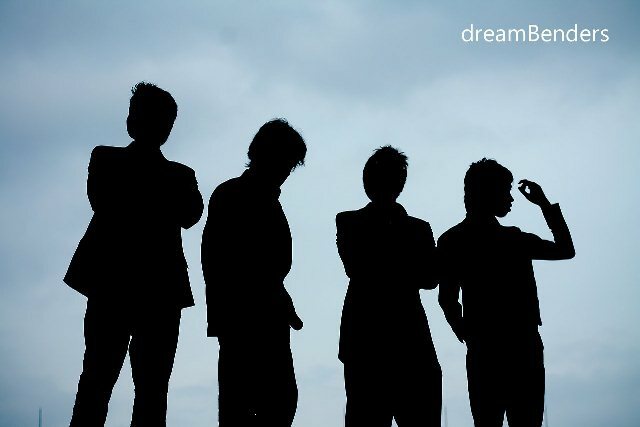 No, each member of dreamBender has participated in previous Imagine Cup. Through solving the world’s toughest problems, we tend to be more care with life of the poor, uneducated, and impaired. We are also be more care about the environment, maternal health, and other problems in MDGs. We have been realized that all of those tough problems could be solve, if only we put full concern in solving the problems. With just few imagination and technology, we could change the world, even if you are just a student. We have several plans in developing Sparkins after Imagine Cup 2011. One of the plans, which have been done, is to introduce Sparkins to National Braille Printing Foundation. As we presented the project, they were very excited about the idea. They said they fully support the effort in Sparkins development and they gave many positive valuable feedbacks. We will also collaborate with local School for the Blind to try implementing Sparkins to its student and see the learning curve and effectiveness of Sparkins. Find out the latest update from Team dreamBender by liking the team on Facebook fans page or follow them through Twitter. You can also stay tune in my blog for more update on Team dreamBender or on the official Imagine Cup fans page or Twitter.